SpeechWare FlexyMike Dual Ear Cardioid Review – One Mic to Rule Them All? Choosing a headset microphone can be a minefield. There are USB models, 3.5 mm analogue versions, ones that plug into smartphones and others that plug into voice recorders (though rarely any that are compatible with both, surprisingly). SpeechWare aims to end that confusion with an intriguing headset that, on paper at least, can do it all. There is clearly a demand for this sort of headset – I didn’t get to spend quite as much time with it as I would have liked as it needed to be sent back quickly; SpeechWare had completely sold out of their first production run. That speaks volumes – I am probably not alone in having one headset for dictating into a computer, another 3.5 mm headset for a voice recorder and something else completely for my smartphone. It creates something of a mess; multiple headsets with completely different acoustic properties that can not only provide inconsistent accuracy but can play havoc with your Dragon profile. Enter the FlexyMike Dual Ear Cardioid (DEC). Packaged in a plain white box, this is a microphone that is designed to primarily be used as a unidirectional, adjustable headband-style device. By combining it with the company’s TravelMike USB, however, it can also be used as a desktop or laptop microphone. Most people, though, are going to want to plug this into a voice recorder or a smartphone and, thankfully, the company includes an adapter for iPhone and Android devices in the box. This is a real rarity in the field – a microphone that, while expensive at around $189, can realistically do it all. The minimalist packaging throws you off-guard at first. When you initially open the box, you wonder where your money has been spent – everything is extremely lightweight, to say the least. It’s only when you start to use the microphone that you realise you have invested in something designed to do exactly what it says – and that lightweight feel, at around 25g or 0.9oz, is a benefit rather than a weakness. I’ve never been a fan of headsets (I simply don’t like to wear a microphone), but the flexible gooseneck of the FlexyMike proves pretty versatile. This is designed to be worn around the back of the head or neck, rather than on top of your skull like most headsets, and the microphone capsule itself can be positioned very precisely. I found it a little tight, but the stainless steel headband could presumably be shaped a little if required. In terms of performance, it was as accurate and consistent as other SpeechWare microphones I’ve tested. I started by creating a new profile purely for this device with no training. I then recorded an uncompressed WAV file using Voice Record Pro on an iPhone 6s Plus with the included adapter. 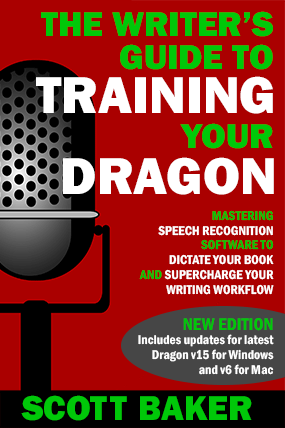 This file, when imported into both Dragon Professional Individual 6 for Mac and Dragon NaturallySpeaking 13 Premium for Windows made two mistakes each time from 301 words, resulting in 99.3% accuracy. When combined with the TravelMike, dictation into Dragon 6 (which should be consistent with DPI 15 for PC) resulted in – you guessed it – 99.3% accuracy. Finally, it seems like this is a headset that is both lightweight and discreet enough to be used pretty much anywhere – on walks, in the car, on the school run, you name it. Most importantly, the accuracy is simply outstanding. As with all SpeechWare’s products, you get what you pay for – they are expensive but they work. I would have liked to spend a little more time with this microphone but my limited testing led me to believe it’s everything it claims to be and then some. If you have the money, and you want the best accuracy possible, don’t hesitate. Of all the mics I’ve used over the years, this is the best headset currently available for transcription. If, like me, you consider that a vital part of your workflow then the SpeechWare FlexyMike Dual Ear Cardioid could be one of the smartest investments you’ll ever make. Author Scott BakerPosted on June 19, 2017 June 20, 2017 Categories Dragon, Microphones, Reviews, TranscriptionTags Dragon, Mac, Microphones, Naturally Speaking, PC, Professional Individual, Reviews2 Comments on SpeechWare FlexyMike Dual Ear Cardioid Review – One Mic to Rule Them All? It’s one thing to sit at a comfortable desk with a powerful computer, dictating away into a desktop microphone or wired USB headset that provides terrific accuracy in that environment. Most of us, however, don’t have the luxury of low background noise and a big, comfortable chair in front of a huge monitor all the time. In fact, sales of portable computers have outstripped desktops for many years now (you only have to look at Apple’s neglect of the Mac Pro and Mac mini lines to see where their priorities lie). Getting the same level of accuracy I achieve at my desk has been an issue for a while for me – I don’t want to take my highly accurate desktop microphone on the road with me, so I’m often lumbered with a slightly less ideal headset (and, as I’ve mentioned before, I’m not a fan of wearing a microphone if I can help it). When Belgian company SpeechWare sent me their Standard USB TravelMike to take a look at, I approached it with an unhealthy level of geeky excitement. This is an external USB soundcard designed specifically for speech recognition – in fact, to merely call it a soundcard is something of an insult. As I quickly found, it’s far more than that. It shares many of the same technologies as the USB TableMike that I recently reviewed and loved – and that’s a good thing. Things like Auto Gain Control, Auto EQ and a proprietary “de-clicking” algorithm that removes lip smacks and clinking coffee cups are all welcome here – but this microphone is truly unique in that it is genuinely portable. The company provides a carry case that houses the entire setup. This includes the USB “MultiAdapter” itself (with 3.5 mm headphone and microphone inputs), a couple of extension and right-angled connectors for optional use, a windscreen and, intriguingly, a 3.5 mm cardioid pivot microphone. In keeping with SpeechWare’s other products, the design is all unashamedly functional and to the point, underscoring the versatility and flexibility of what you are buying. If you are one of the sensible people with a standard USB connector on your laptop or MacBook, congratulations – you can just plug the MultiAdapter into your computer and get to work. There are no drivers to install, just a few tweaks recommended by the company in their instruction guide to get things up and running perfectly. I, on the other hand, have decided to live on the bleeding edge (a.k.a. foolishly own a new MacBook Pro with no legacy ports) and required a USB-C to USB-A adapter – a $3 one from Amazon worked just fine, even if the appendage sticking out of my computer is a little inelegant, to say the least. Welcome to USB-C hell. Thanks, Apple. To initially train the TravelMike, I performed a single dictation session of just under 2000 words on a brand-new profile dedicated to this device (this was using Dragon Professional Individual 6.0.7 for Mac – the results should be the same in Dragon Professional Individual 15 for Windows as both share the same recognition engine). Once this initial training was over (around 30 minutes), I dictated four sessions of new, unrehearsed text totalling around 3000 words. With such little “breaking-in” and the distance from the pivot microphone fluctuating between 15 and 20 inches each time, the results were astounding. Once I had got over my initial shock of achieving 100% accuracy at the first go, I came back down to earth with the next two sessions – although accuracy was still incredibly high, I had maybe got a little bit sloppy with the distance from the TravelMike. After making corrections and saving the profile, I exited Dragon for the final test. This time, I wanted to reopen the program with a reload of the updated profile and, astonishingly, the accuracy almost hit 100% again, tripping up on just one phrase. With an average 99.3% accuracy over the four sessions, the recognition wasn’t just stellar – it was also remarkably consistent. Retailing at around $259, this isn’t a cheap piece of kit. Like SpeechWare’s other products, you are paying a premium for something designed specifically for maximum accuracy in Dragon (and, at an even deeper level, using the “Far Field” algorithms in the latest versions of the software). But here’s the thing – I have never been truly satisfied with a mobile microphone in the past. I’ve tried all sorts of miniature USB solutions with varying levels of success but nothing that has ever been at the level of my desktop setup. This changes all of that. For a truly portable solution, SpeechWare have managed to produce something that not only matches but exceeds the accuracy of a huge number of far bulkier microphones out there. You can even plug a headset into it if you wish (and they have a solution for that too, which I’ll be reviewing shortly). To consistently hit near-100% accuracy from any device is remarkable, especially with such little training. To be able to do it anywhere you can take your laptop with a device that fits into your pocket is, for me at least, a dream come true. The Speechware USB TravelMike is, by some distance, the most accurate portable dictation solution I’ve ever used. Now if only Apple would bring back proper USB ports. I guess you can’t have everything. Perfection. It’s the enemy of progress, right? 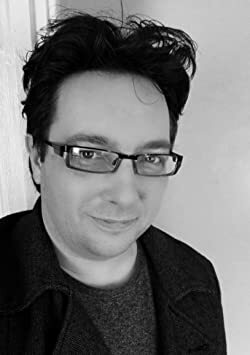 I even make that claim in my book, believing that writers should be happy to achieve a usable first draft with Dragon software rather than worrying about whether every little phrase or area of characterisation is perfect. And yet, I find myself guilty of the same seemingly futile pursuit of perfection in one area: dictation accuracy. I have used dozens of microphones over the years – wired and wireless, DECT and Bluetooth, desktop and headset, analogue and USB. Some have been very good, some atrocious but only a very few have been truly excellent, consistently delivering 98% accuracy or better. That figure becomes even trickier to achieve when it comes to desktop microphones, my favoured method of voice input. This is because, unlike a headset where the microphone capsule is consistently placed close to the corner of your mouth, we tend to turn our heads, sit back in our chairs and forget our positioning when it comes to these sorts of mics. SpeechWare is a Belgian company with a formidable reputation in the speech recognition industry, although it’s a name many may not recognise. For those in the know, their microphones are consistently regarded among the very best available. When they reached out to me and asked me to review a few of their models, I was intrigued – are they really as good as I have been led to believe? Would I finally be able to achieve the nirvana of perfect (or near-perfect, as I’m a realist after all) accuracy? The TableMike is an interesting product. The first thing that strikes you when you see the box is that this does not come from the Apple school of design minimalism. This isn’t necessarily a criticism; the design of the product mirrors its packaging – it’s unapologetically utilitarian, designed for ergonomics but also its desired function. The microphone is made up of a heavy base, a highly positionable gooseneck and a USB cable (SpeechWare insists you use the one they supply, which is a generous 2.4m/96” long). One benefit of this design is that the gooseneck is completely detachable, meaning it’s easy to take on your travels – unlike many other desktop microphones. There are several variants of the TableMike (6 in 1 and 9 in 1 models have features such as the ability to use foot pedals to switch the mic on and off) but I’m reviewing the 3 in 1 model which most users are likely to be interested in. It costs a not-inexpensive $279 (£249), so this is a significant investment for anyone interested. But this is not merely a microphone; although it has the ability to be used for the likes of Skype and podcasting, a button on the base allows you to switch to a long-range mode. This is designed specifically for speech recognition and it’s at this point you realise what your money buys you. If you own versions of Dragon 13 or 14 and have a North American accent, you can benefit from “Far Field” profiles which can significantly improve your accuracy at distance. 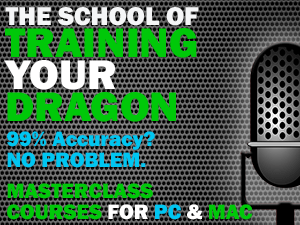 In Dragon Professional Individual 15 and Dragon 6 for Mac, these algorithms are automatically included, regardless of your accent, and this is where the long-range mode built into the TableMike shines. There’s some clever processing going on inside that base, including a proprietary “de-clicking” filter that removes things like lip smacks, mouse clicks and keyboard sounds from ever reaching Dragon’s ears. Best of all, it enables you to lean back in your chair and relax your position a little when dictating at a desk, thanks to a handy Automatic Gain Control built in to the mic itself. There is a very specific way of setting up this microphone, as I found out through experience. Like most middle-aged males, I didn’t bother reading the instructions and proceeded to set the TableMike up in the same way I would any other mic. I noticed straight away that my voice sounded very different from normal microphones through the “green light” long-range mode intended for dictation when I made a test recording in Audacity (the “blue light” mode is for normal use, like VoIP/Skype etc). After performing some initial training, my accuracy was very patchy and I immediately realised something was wrong. Stumped, I downloaded the PDF manual and realised there is a set of instructions provided by SpeechWare to get this thing working properly. That included going against my normal practice of not using Dragon’s training texts; I used two of the more generic texts available and avoided the fiction ones (as I absolutely didn’t want to train Dragon with anything drastically different from my writing style). SpeechWare also instruct the user not to over-train the software, and I agree. After reading the two supplied texts, I dictated a number of passages of my own work totalling around 2000 words, trained a few phrases in the vocabulary and left it at that. After saving my profile and restarting Dragon, my results were astonishing – 99.3% accuracy; that’s just two words wrong in roughly every 320. The total amount of training needed to achieve this was approximately two hours and, interestingly, it noticeably improved throughout the training process. That’s something that a lot of microphones struggle with; it’s often a battle to keep accuracy high and stop your profile degrading over time. With over a dozen sessions with the TableMike since that initial training, the accuracy has stayed consistent. What’s even more interesting about this result is that I think it could be even higher if I had a North American accent. My voice is a strange mishmash of Welsh, Northern English and mangled pronunciation of certain words that I’m sure confuses Dragon on a consistent basis. So one unexpected upside of the TableMike’s accuracy is that it could even benefit those whose accents have resulted in inconsistent results in Dragon in the past. I achieved these results using Dragon Professional Individual 6.0.7 for the Mac, a product that uses the new “Deep Learning” engine with Far Field algorithms. This is the same engine used in version 15 of the PC product, so the results should be consistent or even better given the greater ability to fine-tune corrections in the Windows software. But one unexpected upside of this microphone is it makes the Mac version far more useful and accurate. If you are using Premium 13, and have a North American accent, it will benefit you too (for everyone else using this version, you can switch to the “normal” setting on the TableMike). Is this microphone for everyone? Of course not; if you are achieving, say, 98% accuracy already, you may not feel the need to make these marginal gains. That extra 1.3% comes at quite a cost. But the price is the price and the TableMike absolutely does what it says on the tin. If, like me, you make a living from dictation and view good equipment as an investment rather than a cost (and you can afford it, obviously) then spending almost $300 on a microphone may not be an issue especially when the software alone can cost this much. But, for me at least, the SpeechWare TableMike achieves the near-perfection in accuracy that I crave (especially as I’m not a fan of wearing headsets). It’s the most consistently accurate desktop microphone I’ve ever used and, as the old saying goes, you get what you pay for. When it comes to truly unleashing the potential of Dragon and simply churning out as many words with as little correction needed as possible, the TableMike is worth every penny.